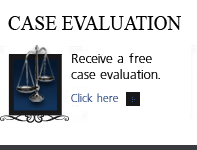 The Defense Of Anticipated False Allegations Of Domestic Violence Cases in Divorce Cases - Denver Criminal Attorney Specializing in Domestic Violence Cases - Colorado Criminal Defense Lawyer. Introduction – Domestic violence allegations can often arise from almost any situation, including false allegations in the context of a divorce case. Some alleged domestic violence victims will falsely claim the most egregious kinds of abuse. When you are accused of a false allegation of domestic violence you will have practically no preparation to defend yourself against what will surely follow. 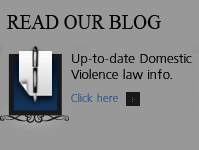 Accusations of domestic violence can have both criminal and civil consequences…. False allegations of domestic violence and child abuse are common in family law cases and have become a major problem in our society. If you are involved in a pending divorce action it is wise to prepare for the possibility of false accusations of domestic violence or child abuse .. The fear is that you will be unjustly accused of domestic violence as a pretext to force you out of the house, lose custody of the children, or for some other strategic purposes is very real. One recommendation is to purchase hand held voice activated tape recorder. In the event that the your spouse precipitates an event, hoping to trap you, the entire circumstance can be preserved on tape. While video is – incidents usually occur spontaneously and sporadically. In case the police are called for any occasion, obey the police no matter how irrational the behavior of the alleged victim, and leave the house if instructed. 1. The victim exhibits signs of injury caused by an act of domestic violence. The word “exhibits” is to be liberally construed to mean any indication that a victim has suffered bodily injury, which shall include physical pain or any impairment of physical condition. Probable cause to arrest may also be established when the police officer observes any manifestation of an internal injury suffered by the victim. 2. If there are no visible signs of injury, but the victim states that an injury occurred, the officer then considers other relevant factors in determining whether there is probable cause to make an arrest. This determination is solely within their discretion. 3. A warrant for defendant exists. 4. Probable cause that a weapon was involved in domestic violence. 5. The police officer may also arrest a person if there is probable cause to believe that an act of domestic violence has been committed even if there is no injury. Often in Domestic Violence Cases there are cross complaints against each other and each party might have signs of some kind of injury. Who is arrested under these circumstances? The Primary Aggressor Test: Police are often in a tough judgmental decision making posture under these circumstances – in domestic violence incidents is the victim where both parties exhibit signs of injury. Other relevant factors, such as the sequence of events – who struck first and why etc. If an attorney is involved at this point, s/he may point out to the police they should not arrest his client under the facts as they exist – or if new information can be supplied to the officer on the seen. H. Michael Steinberg has been very successful in this kind of situation, however in most cases, the police are going to proceed how they want to proceed. They may resent the interference of attorneys especially at this stage, they should still try to stop the arrest of their clients. Be prepared to leave the house quickly and have a stash of cash stored outside the house, as well as a separate bank account in case funds become subsequently frozen. Have an extra set of keys for the car to make sure the car can not be easily blocked in a garage or a driveway, extra clothes available and if you take prescription drugs to have the the prescription number or extra drugs available. You may have an opportunity to come back to the house to pick up clothes, drugs, etc. but in too many cases when you come back, these items are missing. Have a list of vital phone numbers: doctors, lawyers etc. If you have any weapons in the house, put them in to a safe place outside the house, prior to any possibility of an incident. [ ] Weapons Dispose of. A falsely accused defendant who has been thrown out of their home may have no place else to live but a motel. They may have lost visitation with their children or even custody. In these instances they should move as quickly as possible because of the hardship that you are enduring. The accused should retain the best Colorado Criminal Lawyer they can afford and give that lawyer an exact narrative of the alleged allegations of domestic violence as well as whether there was any history of domestic violence in the past. Were there any other false allegations, what became of them? Was the same matter litigated previously? Has there been a history of the alleged victim trying to get the defendant out of the house by other means such as court motions? Is there any other motivation for the alleged incident, i.e. revenge, custody, strategic positioning in a matrimonial case? All of these areas should be explored along with all other avenues to see if there is any kind of proof that can be elicited, such as someone who has heard the alleged victim talk about these motivations; or documentary proof such as tape recordings, letters, or other admissions. Discovery in domestic violence cases is prescribed by Colorado Law which limits discovery in certain ways. The discovery that is available in criminal cases in domestic violence cases does NOT Colorado Dissolution – Divorce related discovery. In order to produce both physical and testamentary evidence, take advantage of the notice you will need a list of witnesses and any documents that bear on the relationship. There will be lay witnesses who know the background on the case or actual eye witnesses to the occurrence. 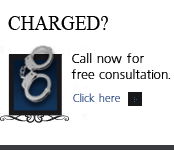 Expert witnesses such as doctors and police can be interviewed and subpoenaed. The accused may contact some of these witnesses as well as the lawyer to find out what they will testify to and whether testimony will be in the defendant’s favor. Interviews may be conducted by telephone, and witnesses should never be subpoenaed to court without having interviewed. Even if the case is in trial and witnesses have refused to speak to the lawyer prior to trial – the opportunity to interview may present itself. The danger though is that the because they avoided talking to the lawyer earlier – they may see this as harassment. The lawyer should find out if there is any kind of photographs or tape recordings that are available. The lawyer should Inspect any physical evidence such as torn clothing, broken dishes. The lawyer should either visit the scene of the domestic violence or have pictures taken or both so that s/he you can understand what happened in the context of the exact surroundings. The lawyer should interview and subpoena expert witnesses, and secure their reports, including hospital records, medical records, etc. The lawyer should – if the police were witnesses to the alleged act of domestic violence and had to make a reluctant arrest, and were able to see the condition of the premises or the victim, – interview them carefully and obtain their police reports. Then he lawyer should subpoena them as well as any 911 tapes, emergency tapes of the local police department. A victim who says that she was afraid for her life, in danger and harassed by the defendant, may reveal a different tone and temperament when they call the police on the 911 tape. When the alleged victim makes their application for a temporary restraining order, whether in person or by telephone, it has to be by means of tape recording interview at the very least. The lawyer should get copies of the transcript of the proceedings or copies of the judge’s notes to be able to compare those to the police reports and the testimony at the time of trial. Domestic violence are hearings of “credibility”. It is the victim’s word against yours usually with no one else present. In a Civil Restraining Order hearing – the burden of proof is only “the preponderance of evidence”. The judicial climate is such that most judges no matter what the allegations and no matter what the defense, would order a restraint because it is safer to enter one than to deny one and worry about the consequences, not only the victim, but to themselves as sitting judges if they’ve made the wrong choice. It is easier for a judge to rationalize imposition of a restraining order, than to face the wrath of the victim, their superiors and the press if they are wrong. Even if you are completely innocent you may not want to return to the house or risk a domestic violence finding against you. Domestic Violence PREPARATION CHECK LIST. [ ] Learn Real motivation for alleging incident, i.e. revenge, custody etc. Substantiation of real motivation, i.e. tape recordings, prior writings, witnesses. [ ] Make a list of witnesses to be used at hearing, lay and expert and what they will testify to. [ ] Obtain transcript of hearing to obtain temporary restraining order. False Allegations of Child Abuse and Domestic Violence are common in Colorado – please contact H. Michael Steinberg if you have questions about this and all other Colorado criminal cases.